This Slow Cooker Meatballs and Marinara recipe takes some prep time but it is well worth the effort. 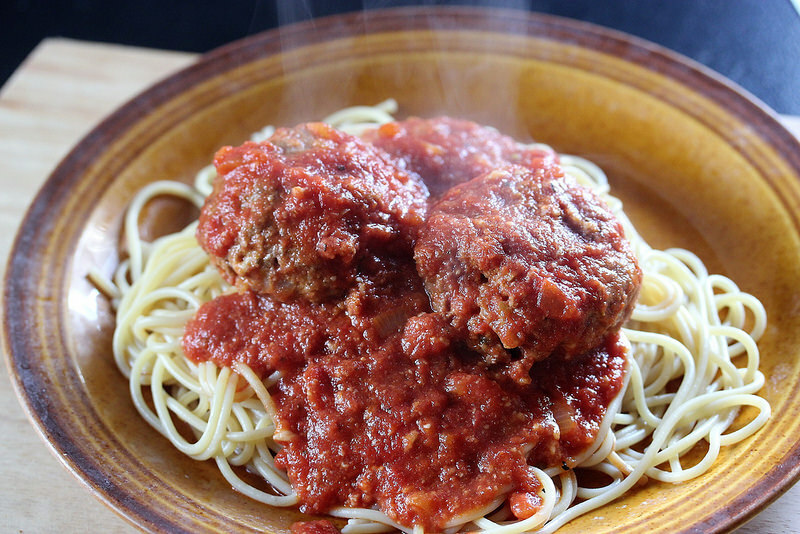 A little bit of time is saved by using a microwave instead of the oven to firm up the meatballs before they go in the slow cooker. This is a large recipe that would be great for a potluck or party. 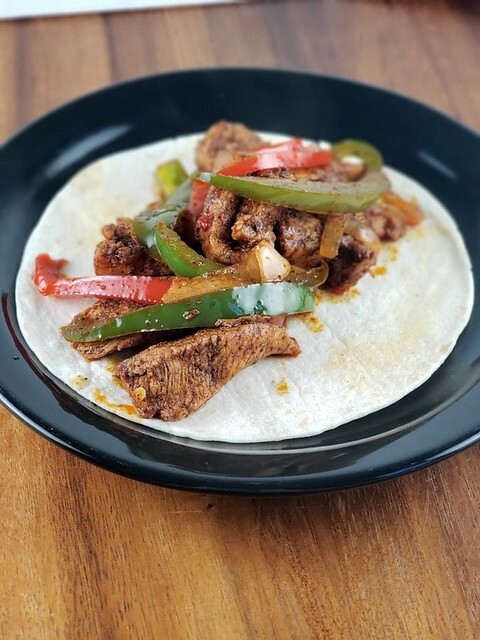 If you’re not feeding that many people you could easily cut the recipe in half. In a Dutch oven over medium heat mix together the onion, olive oil, tomato paste, garlic, oregano, red pepper flakes, and salt. 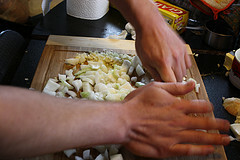 Cook until onions are softened and slightly browned. Place half of the onion mixture in a large bowl and set aside. For the marinara add the wine to the onion mixture in the Dutch oven and cook until mixture starts to thicken. Mix in the crushed tomatoes and pour the mixture into the slow cooker. Add all the meatball ingredients into the large bowl with the onion mixture, and using your hands mix until well combined. 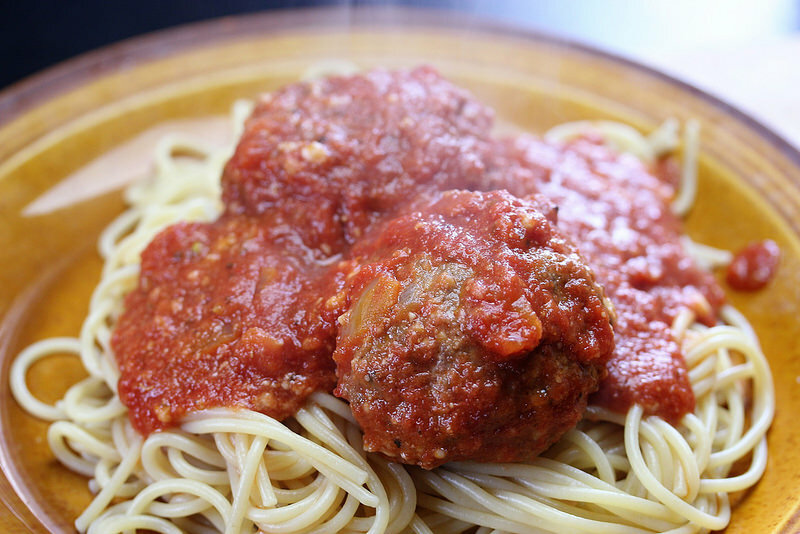 Form into 12 – 2 inch meatballs and place them on a large plate. Microwave for about 7 minutes until meatballs firm up and start to render some fat. Work the meatballs into the marinara sauce and cook covered until meatballs are done and sauce is slightly thickened (4 – 5 hours on low). Let settle and skim off any fat that is on the surface. Mix in the remaining parmesan cheese – salt and pepper to taste and serve over spaghetti.